The latest vintages of the organic wines Esporão Colheita Red 2016 and Esporão Colheita White 2017 are now on the market. Launched for the first time last year, these wines from the Esporão range are produced solely from organic grapes grown on the Estate. 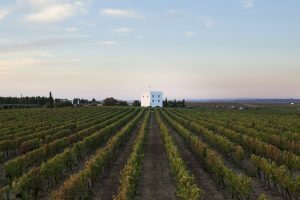 The wines’ irreverent, authentic and direct character reflect the numerous details of their origin. The launch was celebrated with two events, one in Porto and another in Lisbon. Porto’s Botanical Garden and the Quinta das Pintoras greenhouse, in Marvila, set the stage for two dinners specially prepared by the chefs Pedro Limão and Carlos Teixeira, respectively, with Esporão wines as the central theme. In an intimate environment, winemakers David Baverstock and Sandra Alves explained to the guests the unique nature of these wines, accompanied by a visual performance from the illustrator Nicolau. 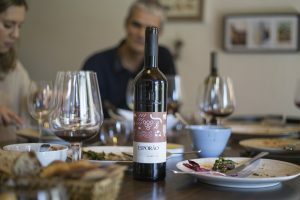 Esporão Colheita Red 2016, is a blend of the Cabernet Sauvignon and Touriga Franca grape varieties that lends predominant aromas of fresh red fruit, especially plum and blueberries, cloaked in vegetable notes. The density and body of Touriga Franca stand out on the palate, sustained by the structure and acidity provided by Cabernet Sauvignon. This creates a creamy and vibrant combination, with a persistent and elegant finish. Esporão Colheita White 2017, an Antão Vaz monovarietal, offers a crystal clear appearance, with citrus notes and hints of white fruit and green leaf, giving freshness, a creamy texture and complexity. An intense and extremely persistent finish.